Goodbye 2018! Let's celebrate the end of a great year with one last sales event. Here are the deals to look for and how you can use Borderlinx to access international shipping to your home from U.S. retailers. New Year's Eve sales are your absolute last chance to take advantage of major discounts in 2018. During this time, retailers are desperate to get rid of seasonal inventory that wasn't sold before the Christmas holiday. Prices drop considerably in an effort to make room for new items, sometimes even resembling Black Friday prices. Whether you missed any holiday sales or just need to spend all the gift cards you got for Christmas, your opportunity to squeeze in last-minute shopping is now. So when do New Year's Eve sales start? It varies by retailer, but you'll see deals begin the day after Christmas and last through December 31. If you're looking for a solid deal, check out these three product categories. Winter isn't over yet, but retailers are ready to start getting rid of coats, sweaters, boots, scarves and the like. If you're the outdoorsy type, look at retailers like REI or Back Country. Last year, they hosted deals up to 50% off. High-end retailers can offer impressive discounts too. Net-a-Porter, for example, slashed up to 70% off prices! According to DealNews, refurbished electronics are a hot deal during this time of year. Cameras are worth checking out too for both new and refurbished models. Start your search at Canon or Nikon. With the holiday celebrations nearly over, many of us will be preparing to work off all the hearty food we ate over the last several weeks. Amazon and eBay will be a great place to find apparel, sneakers and accessories to get you back on track. Tip: Subscribe to retailer emails for a heads up on New Year's Eve deals. Want to plan ahead? Take a look at a few sales offered last year from these popular U.S. retailers. How did Borderlinx Customers Shop Last New Year's Eve Sales? Our members ended the year strong and accomplished some major shopping. Here's a look into where they shopped and what they sent to our U.S. hub. If you live outside the United States, you can still take part in the final days of 2018 sales. When you register with Borderlinx, you'll get a free U.S. shipping address to use with online retailers. So get ready for some major year-end shopping, and let us handle international shipping to your home. Here's how we can help. Plan ahead! Use the Borderlinx Shipping Cost Calculator to estimate the total cost of shipping to your home, including guaranteed taxes and duties. If you're buying from multiple retailers, shipping packages from our hub individually can become expensive. 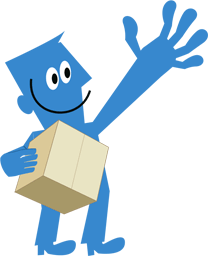 We recommend virtually consolidating your packages to avoid excess fees. Learn more here. Don't worry about dealing with customs. Take out the guesswork, and use Borderlinx to pay for taxes and duties. Sources: Forbes, Business Insider, International Business Times, The Balance. * Please refer to our Prohibited Items list for products that cannot be internationally shipped with Borderlinx.